Smarter auto-fill "Select the account you want to use with ..."
When using auto-fill (which is fantastic) I have never had 1password automatically suggest the correct login to use, even if the URL is entered in correctly (app name in reverse). I'm not hugely worried about this, because it's not easy to do or understand, instead, what the auto-fill is already doing is good, but not yet fully completed. ok, let's do it then - easy! 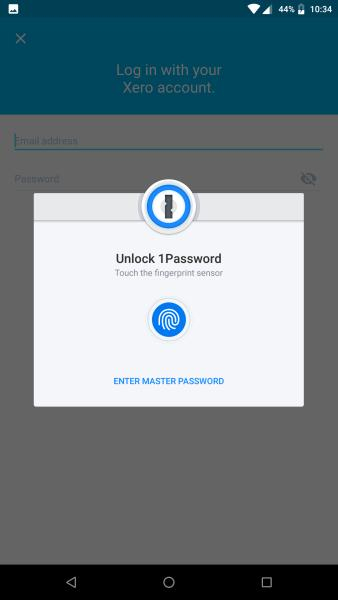 unlock with fingerprint - easy! So my question is - isn't there any way to streamline this rather mundane process? Remove the manual search? 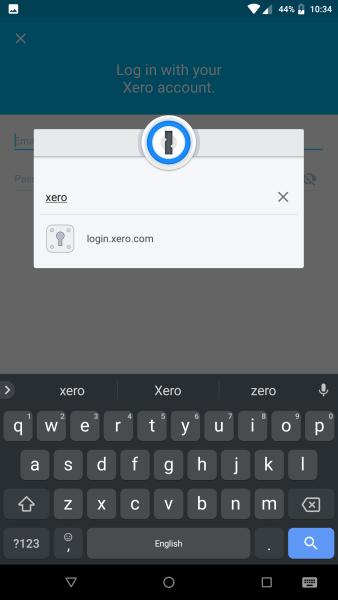 If 1password already knows that I'm after login for "Xero", then why not automatically search the vault for that and suggest it for me to confirm it? @Gregs: It isn't easy with accessibility, but it's something that were working on improving. Ultimately we can get much more accurate results (and therefore a more streamlined experience) with OpenYOLO and especially autofill, but those require the apps (and OS, but you're good there) themselves support them. So the fall back for compatibility is accessibility filling, but that is more limited. We'll keep at it though. Thank you for the constructive criticism! Likewise, thanks for your feedback on this! I just changed phones from apple IOS to Google Android and I'm having this exact same issue for everything. When I was on the iphone, 1password worked perfectly, now I have to do this each time and then it seems to be wrong sometimes anhwha. What is going on? Is this Google making 1password annoying so that I use their password keeper? 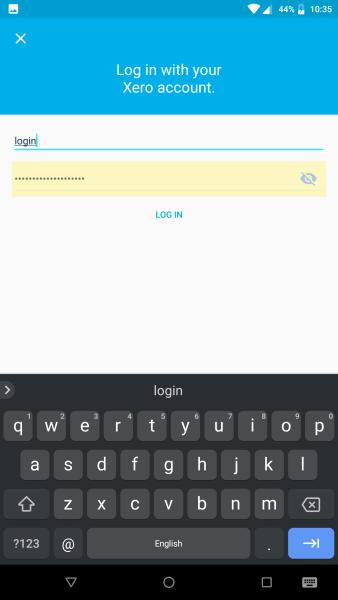 Please help or if 1password just doesn't work well with Android let me know too. Google has provided some great tools in recent versions of Android, and 1Password supports them all. Unfortunately not all 3rd party apps do. If you're having trouble with something in particular, let us know the specifics though and we'll see if we can suggest a workaround. It is literally every single application. 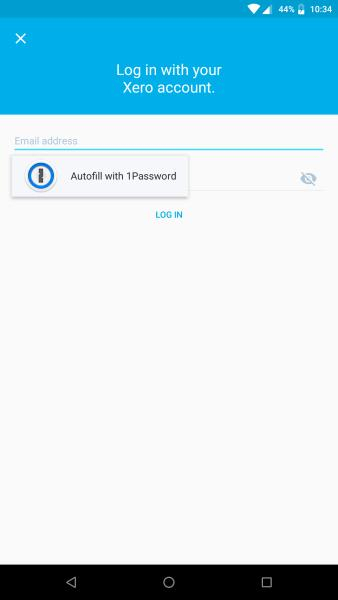 When I log in, Android gives me the option to use 1password. I go ahead and log into 1pass and instead of autofilling into the login and password it asks me to search.. exactly the use case above. I wouldn't even think about it if it was just a one off.. but it's every single sign on. Hi @nfallon. The first time you fill into any app from 1Password using Autofill, you will see the search prompt. 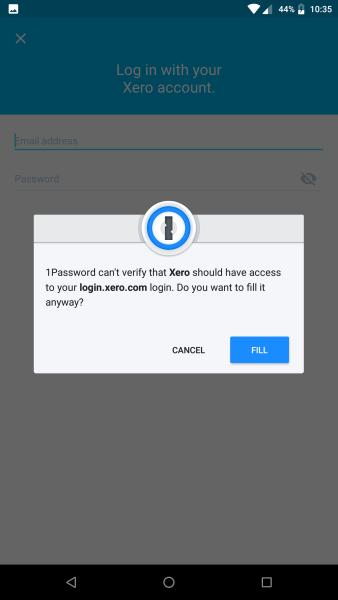 You then need to choose the Login you want to fill, and 1Password will ask if you are sure you want to fill into this app using this Login. This is to prevent 1Password filling into any bogus apps or sites. 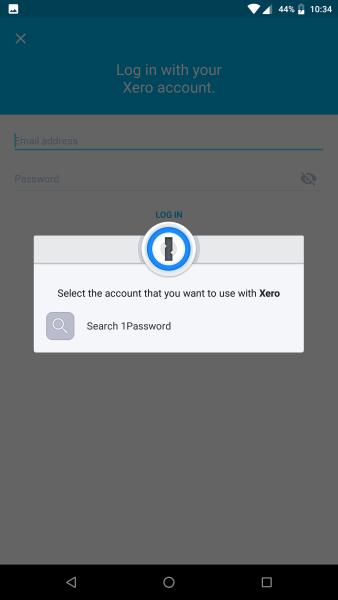 Once you've filled it, the app will be linked to the Login, and it will show up as the option for filling from then on. If you're not seeing items linked to apps after filling the first time, please let me know what version of 1Password you're using.